Background info: why is throttling the fan necessary? Will there be a version of this duct for the right extruder? FlashForge Creator Pro left single extruder fan duct by DrLex is licensed under the Creative Commons - Attribution license. This is the single-extrusion alternative to my dual duct. I only do a dual extrusion about once every 100 prints, and I figured it is a bit pointless to have the dual duct blow air at the inactive (and usually unscrewed) nozzle all the time. It makes more sense to also direct this air at the active nozzle. By blowing air from two directions, this design reduces the ‘shadow’ problem of both the stock duct and my dual duct and cools all sides more or less equally. If you're only going to print with one extruder, this duct will give you the best quality. Of course this does not make the dual duct obsolete: you still need it to get proper cooling on dual extrusions. Mind that the shadow problem is not completely eliminated. Overhangs at the rear and right will still be cooled less effectively because the air cannot reach their undersides. One way to work around this is to print extra walls behind such overhangs to reflect the airflow back towards them. In most cases this will be unnecessary however, but keep it in mind for those prints that need to be really perfect. This duct has not been merely designed in a wet-finger guessing way. It has been run through several dozens of iterations, the last of which were validated with computer simulations. See the ‘How I Designed This’ section for more details. This duct unfortunately is not plug-and-play. You must read the ‘Using’ section. If you don't, your prints will likely fail, you have been warned. There are two models. The ‘x1’ model has the exhausts 1 mm lower than the regular model. If you aligned your nozzles with this tool, you need the regular version. 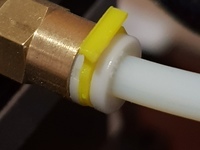 If you installed Micro Swiss all-metal hotends and followed their installation instructions to the letter, then your nozzles will be 1 mm lower and you need the ‘x1’ model. See the section ‘Checking the height of your nozzle’ below for more details. Of course you can just print both models and see which one works best for you.  See the Print Settings section for detailed instructions on printing. Be sure to read the Post-Printing section first. A thin strip of rubber (like a piece of bicycle tire) under the little mounting tab can help to avoid that the duct vibrates and rattles. If you have an older printer and yet have to install the blower fan, you may need to print the fan mounting bracket first. First of all if you're going to do a long print with the fan disabled entirely, remove the duct to avoid that it will deform, especially if you're printing at very high temperatures, e.g. polycarbonate. Even if you applied thermal insulation, you should still remove the duct if unused during long prints. Next, something very important: don't just print and try to use this duct, it unfortunately is not that simple. This duct is almost unusable if you cannot control fan speed. 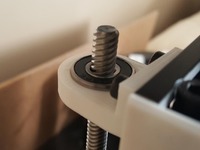 You risk getting very poor layer adhesion in the lower part of your print, and fast-printed parts like infill may detach already during printing. In other words, your print will fall apart. To avoid this, you must reduce fan speed in a specific manner. Unfortunately fan speed cannot be controlled on an unmodified FFCP, which I find the largest shortcoming of this printer by far. Modifications are required, below I explain how you can get variable fan speed after all. gradually increase fan speed over the course of the first few millimeters of the print until the desired maximum (in my case 50% is usually more than enough). Being able to control fan speed is the only practical way to get optimal cooling with this duct (actually with any duct for that matter). Variable speed is also essential for getting good results with filaments like PETG, which require a tiny bit of cooling for best results. You may also be surprised to hear that I always enable the fan on ABS prints albeit at very low speed, which does improve quality without ruining layer adhesion. Also, after installing an all-metal hot-end with hardened steel nozzle, I noticed I need much less cooling which made it essential to be able to throttle the fan. 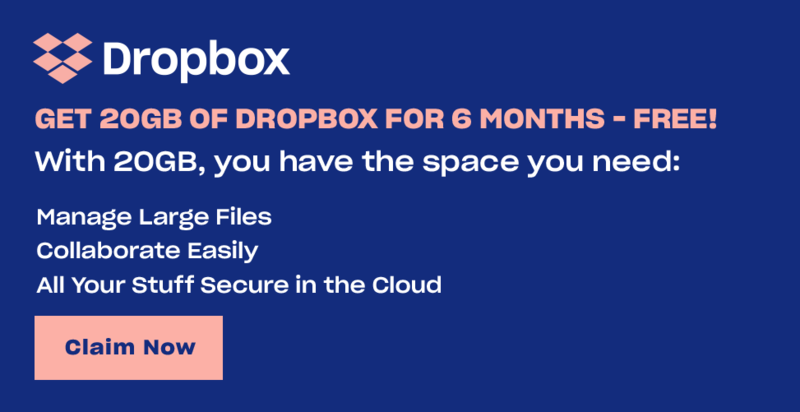 Your software might make it seem as if you can vary the speed of the fan, but this is a lie. None of the printers that use the MightyBoard design like the FFCP and clones, can control fan speed without modifications. The MightyBoard can only toggle its EXTRA output between off and on, hence ramping up the fan won't be possible. 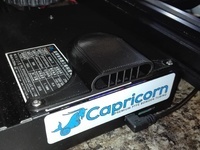 It is possible to install a custom build of the Sailfish firmware that has a software PWM implementation. Speed cannot be changed however during a print and it does not respond to speed arguments in the G-code, making it mostly useless. You can try an even more custom build that is able to respond to fan speed commands in G-code, but this can only work if you also compile a custom build of the GPX converter and somehow manage to squeeze Sailfish-compatible G-code with variable fan speeds out of your slicing software. In other words, the only practical solutions for the average user are hardware-based. The simplest way to obtain (manual) fan speed control is to install a hardware PWM controller in between the printer motherboard and the cooling fan. This isn't complicated and the only (optional) permanent modification you need to make to your printer is to drill two tiny holes. You can use an analog controller like the one shown there, or a microcontroller like an Arduino with PWM capable output and a 24V MOSFET to drive the fan. This solution is still cumbersome because you will need to babysit every print at least during its first few layers to adjust the PWM knob. A much more advanced way to obtain fully automatic fan speed control is to have the printer send fan speed commands to a Raspberry Pi, which does PWM through a MOSFET connected to one of its GPIO pins. I spent quite a bit of effort on this solution and it works very reliably, the only drawback is a bit of extra blip sounds during prints. Installing it is more work than mounting a single circuit board, but once you've got it running you will never want to go back. I haven't really tested any of these but they are most certainly inferior compared to a PWM-based solution. Try at your own risk! Simplest one is to just stick with the dual duct if you find it too much hassle to get the best out of this single-extruder duct. You will of course be stuck with the shadow problem too. 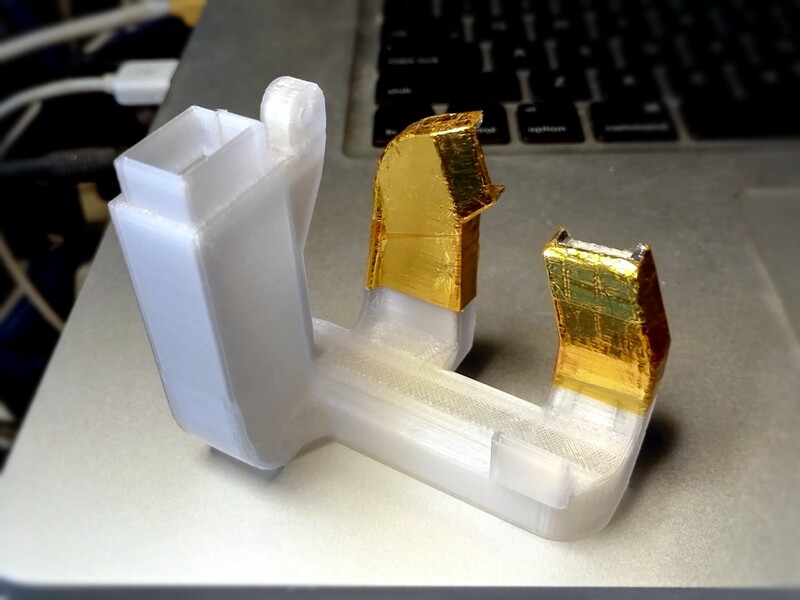 If you print much hotter, slowly, and in thin layers, you might get good results even if you cannot throttle the fan. 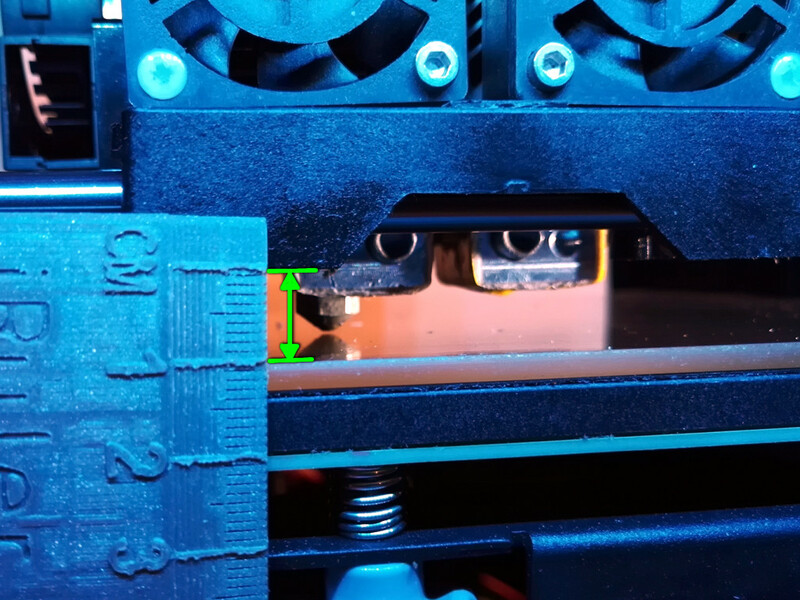 To counteract the typical extruder temperature undershoot when the fan activates at lower layers, you could boost extruder temperature by 10°C, about 10 seconds before the fan will engage. I haven't tested whether this is effective, but in theory it should ensure the extruder is in its heating regime when the blast of cold air hits it, and the undershoot should be reduced or eliminated. You may then gradually reduce extruder temperature again until the print is about 12 mm tall, but you should keep the temperature higher than when printing without fan. This is obviously cumbersome because you will either have to manually fiddle with the LCD menu to do this, or write a post-processing script to insert extra M104 commands in your G-code at the right places. You may also try to make a hole in the side of the duct to lower the exhaust pressure. You could use tape to vary the size of this hole hence vary airflow in a clumsy manner. Of course this doesn't avoid the undershoot problem and trying to vary the airflow during a print will be challenging to say the least. If you want to be notified of possible updates on this design, use the ‘Watch’ button. As with the dual duct or any duct whatsoever, you must print this in a heat-resistant material because it is very close to the heater block, moreover this duct has even more material near the heated bed. Do not print it in PLA. I recommend ABS although even that may not be sufficiently heat-resistant on its own during ABS or PETG prints. If you are able to print in polycarbonate, it is probably the best option if you often print with the bed above 100°C or the extruders at 230°C or more. An ABS printed duct will do fine however if you add extra insulation (see post-printing section). Same comments as for the dual duct: do not enable supports. Supports will block the inner passages and the model is designed such that it will print well without supports. I recommend enabling cooling while printing the top layer of the main vent and the upper tip of the left exhaust (for this purpose the stock duct should suffice). Infill doesn't matter much if your slicer is configured to always print small areas solid. If unsure, set infill to 100% for the entire print. You should ream the little hole next to the mounting screw hole with a 2 mm drill bit. Otherwise you'll probably have a hard time mounting the duct onto the carriage. Even if you printed the duct in ABS, it still is very close to the heater block and the exhausts will deform if the duct is exposed to high temperatures for more than just a few minutes while the fan is off or running at very low speed. If the exhausts deform, the duct will no longer work optimally. You should therefore consider applying some thermal insulation to the exhausts, especially if you print with ABS or PETG. As shown in the photos, I use some NASA-style insulation that consists of a layer of self-adhesive aluminium foil, with a layer of kapton tape on top. To be really sure, I applied this twice at the tips of the exhausts. It is time-consuming to apply this but is well worth it because it has proven to be extremely effective. If you have only one of those materials, I believe a few layers of just aluminium or just kapton will also do the trick. If you're only going to print PLA or other filaments that do not require extruder temperatures above 210°C and no bed temperatures above 80°C. If you always enable the cooling fan at (near-)maximum speed. This means the duct will keep itself cooled and won't deform. However if you only enable the fan after the first few layers (as you should), then you still risk damaging the duct when printing something large because the duct will remain uncooled during those long first layers. If your heater blocks have much better thermal insulation than mine. 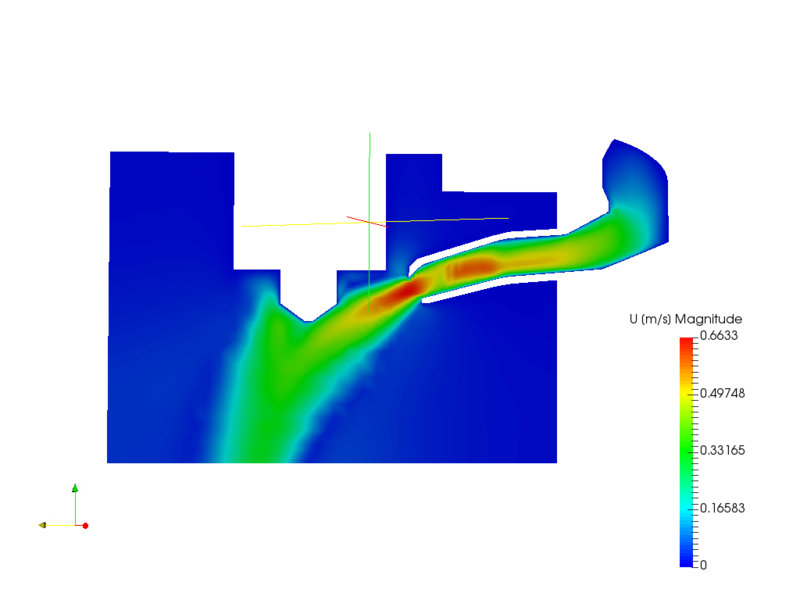 In the end I did simulate the duct using SimScale, which offers a web interface on top of OpenFOAM for CFD simulations, so this eliminates most of the learning curve. Moreover it is entirely free for public community projects (with a simulation time budget of 3000 hours). You can find the public project here. I ended up performing some 15 different simulations. I couldn't imagine printing and manually testing all those prototypes, so the simulations proved invaluable. I did have some problems getting the STL model imported but in the end I found out how to properly do it, and I can conclude that SimScale is really great. 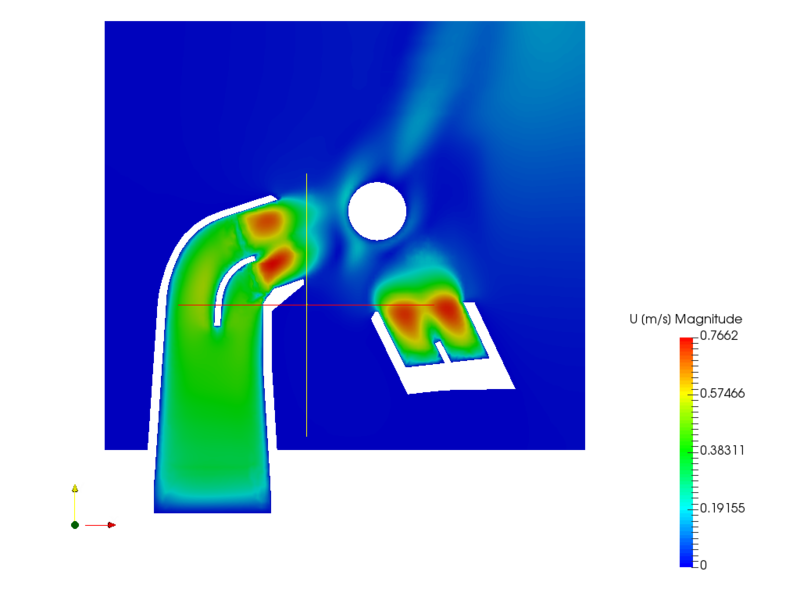 Airflow velocity around the tip of the nozzle. It is impossible to get a perfectly uniform flow field with only two exhausts, but this is about the best I could get within the constraints of this design. Flow in the exhausts. Getting this well-balanced was not trivial. Flow cross-section of the right exhaust. For the left exhaust, see the Thing photo gallery. If you're unsure whether you need the regular or x1 model, you can verify this as follows. Bring the carriage forward so it is flush with the front edge of the print bed. Then raise the bed until it just touches the nozzle, as shown in the photo. Next, measure the distance between the bed and the bottom of the carriage. If this is close to 10 mm, you need the regular model. If it is closer to 11 mm, you need the x1 model. There are two things at play here. First, the PID controller implementation in the Sailfish firmware is very bad at reacting to temperature drops. The reaction is way too slow therefore if something causes the extruder temperature to suddenly drop, there will be a severe temperature undershoot and part of the print will be printed too cold; layer adhesion will be compromised. Therefore the fan must be started slowly during the lower layers to avoid the undershoot. Its speed must also be kept lower than usual during approximately the lower 10 mm of the print, because that's the region where the ‘bounce’ effect remains significant. 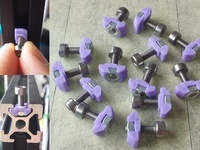 The severity of these issues will depend on your printer model and hot-end type. If you're lucky, you don't need to take countermeasures. In my case for instance, the problems only became significant after installing an all-metal hot-end with hardened steel nozzle. The left nozzle is closest to the fan, making it much easier to design a duct with two exhausts blowing at it. I don't see any practical way to make a similar configuration for the right nozzle, not even if the left heater block would be removed. The second exhaust would need to make a wide curve around the back, making it large, heavy, and very difficult to print. I noticed that the first version blew way too much air forward. I did most of my tests with the duct in free air, and neglected the fact that when mounted, the airflow would be inclined to get sucked against nearby structures. This did happen and it caused the heater and nozzle to struggle to maintain their temperature. This version improves upon this with a funky new exhaust design, and should also better aim its airflow in the horizontal plane. This is the same design but with a few minor changes that should make it slightly more robust, and also easier to mount with less risk of it cracking. Almost a complete redesign, the result of performing CFD simulations in SimScale (OpenFOAM). The flows have been balanced and the dead zones have been eliminated. This duct is pretty much guaranteed to be very good. A nice side effect of the optimizations is that the duct is smaller and easier to mount.